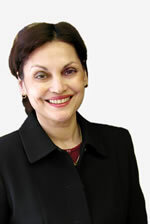 Femida Handy is Professor of Nonprofit Studies at the University of Pennsylvania. Her academic writing is on philanthropy and volunteering, and her recent coedited book, The Palgrave Handbook of Global Philanthropy (2015) is a comprehensive reference guide to the practice of philanthropy across 26 nations and regions across the world. Dr Handy is currently Editor-in-Chief of Nonprofit and Voluntary Sector Quarterly, a premier journal in the field. She has several award-winning publications and has coauthored five books and over 100 publications. She has also coauthored a children’s book called Sandy’s Incredible Shrinking Footprint.